I know that when you have a lot of things to do, using Tasks in the cramped space within Gmail or Calendar may seem frustrating. There is actually a great workaround, which is to use the fullscreen version of the Tasks iGoogle gadget available at https://mail.google.com/tasks/canvas. Unfortunately, few people seem to know about it even though it was posted on the Gmail blog back in October. You can download the extension from http://bolinfest.com/chickenscratch/fullscreen-tasks-in-gmail.xpi. For some reason, you need to install it by first downloading it and then using the File -> Open File... menu in Firefox to open it up and install it. The traditional method of installing, which is just going to the URL in Firefox, does not seem to work for some reason: I get some nonsense about it not being a valid install package. Because I thought this was going to be a short script, I originally tried to write it in Greasemonkey because I feel like it is easier to get users to install Greasemonkey scripts than separate extensions these days. Initially I tried using the Gmail Greasemonkey API, but unfortunately it is super-busted: many of the methods in the API do not work right now. This essentially finds the DOM element for each of the "Select: All" controls that appear above and below the threadlist, and uses their common ancestor as the node to hide to make room for my Tasks iframe. If you are interested, the code for the Chickenfoot script is also available. In creating the extension, I ended up fixing some bugs in Chickenfoot, but also added some new features, so when Chickenfoot 1.0.8 is released, it will be possible to run my script as-is. 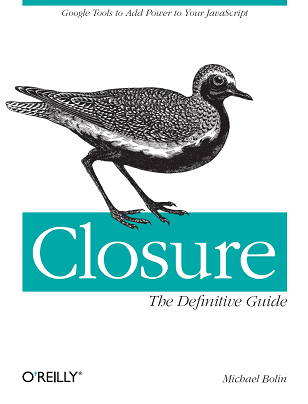 One new feature is that Closure Lite will be available as a library in Chickenfoot, so with the include('closure-lite.js') call in Chickenfoot, lots of goog goodness will be readily available, which made the development of this script go so much faster. Keyboard shortcut that works when either the threadlist or the Tasks iframe have focus. Tooltip to make the keyboard shortcut more discoverable. Logic to ensure that the style of the "Full Tasks" link matches that of your Gmail theme. Focus is given back to the threadlist when exiting fullscreen Tasks. The Tasks iframe is resized when the browser window is resized. Timing logic to account for the fact that many things in Gmail are loaded asynchronously. I think it's particularly relevant in this example because most userscripts that I have looked at are pretty hacky pieces of code. This is partially because most userscripts are viewed as hacks in the first place, though there is nothing about writing userscripts that forces them to be that way. For example, with my new extension, there are a million ways I could have chosen to jam a Tasks iframe into Gmail, most of which would have taken many fewer lines of code. But to make something reliable, thoughtful, and usable took a lot more code than that. I like to think that this is my empathy gene at work. Finally, although I enjoyed creating this extension and am glad that I also made improvements to Chickenfoot in the process, I would be even happier if this feature (or something like it) were made available in Gmail (I'm looking at you, Mountain View!). Though if Tasks were able to "graduate" into the navigation bar in the top of the page that is available across all apps, that would solve most of my problems. It may be time to update iGoogleBar to do exactly that! Can we get a Chrome version?